Launched in early 2006, NASA’s New Horizons spacecraft is scheduled to rendezvous with dwarf planet Pluto in a little over one year. The observatory will fly within 6,200 miles of Pluto, gathering data on the dwarf planet and its companion moons. After its encounter with Pluto, New Horizons will continue to fly further into the Kuiper Belt where thousands of icy objects orbit the sun from a distance of billions of miles. 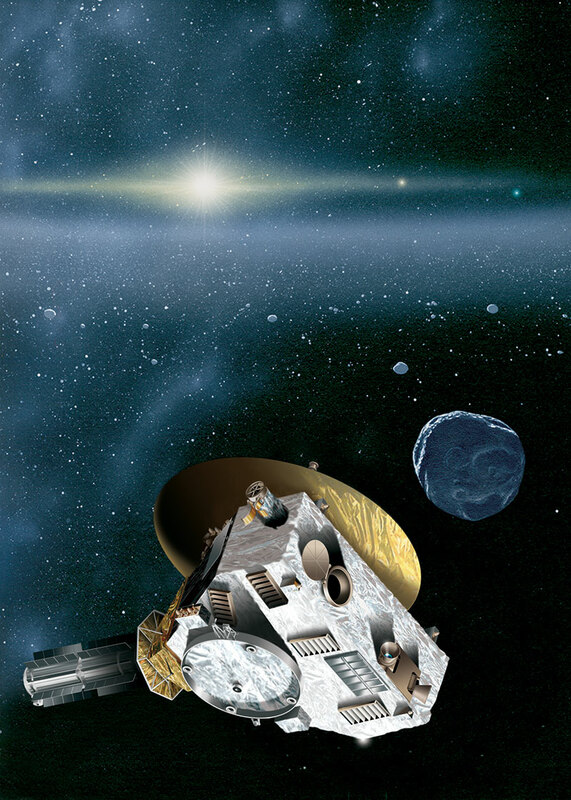 Now NASA is beginning the work of searching for a follow-up target for New Horizons research. NASA this week announced that the Hubble Space Telescope will be used to search the Kuiper Belt to help determine New Horizon’s post-Pluto future. Astronomers using the telescope will target a small portion of the sky where New Horizons will be heading in the future. The telescope will turn at the predicted speed for Kuiper belt objects, making the objects appear stationary against a streaked backdrop of stars in the constellation Sagittarius. “I am pleased that our science peer-review process arrived at a consensus as to how to effectively use Hubble’s unique capabilities to support the science goals of the New Horizons mission,” said Matt Mountain, director of the Space Telescope Science Institute. The Kuiper Belt search announcement comes just weeks after Hubble imagery was used to expand the famous Hubble Ultra Deep Field photo. These and other applications demonstrate the incredible discoveries that astronomers have managed to coax out of the Hubble telescope well beyond its originally-planned scientific goals. The Hubble will soon be succeeded by the James Webb Space Telescope, which is scheduled to launch in 2018.